Jonathan Scott enjoys a hugely varied performing career on a diverse spectrum of keyboard instruments. In addition to his career as pianist and organist Jonathan is also a specialist in the music for the art harmonium and has a busy concert schedule with his pianist brother, Tom Scott, performing as Scott Brothers Duo. Born in Manchester, Jonathan studied piano and organ at Chetham's School of Music before gaining a scholarship on both instruments to attend the Royal Northern College of Music (RNCM). With the aid of a Countess of Munster Scholarship he was able to continue his studies in USA and Holland. Jonathan won the coveted Worshipful Company of Musicians WT Best Scholarship and gold medal, and is a Freeman of The City of London. He has been a member of the keyboard staff at RNCM since 2001 and is also Associate Artist of the Bridgewater Hall, Manchester where he gives a series of popular lunchtime organ recitals which attract audiences approaching 1000. 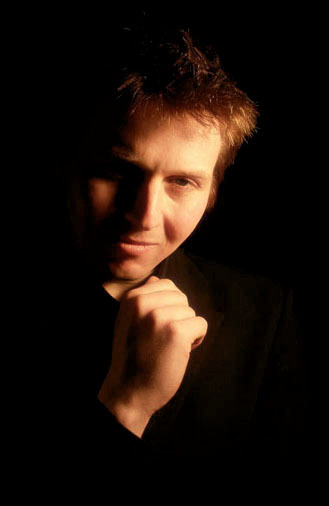 Jonathans recent performances have included numerous solo recitals as well as concertos with BBC Philharmonic, Orchestra of Opera North and Royal Scottish National Orchestra and solo appearances at the BBC proms, mid-Atlantic performances on Queen Mary 2 and a series of performances as organ and piano soloist at The Royal Albert Hall, London. His recent performance of Copland Organ Symphony was broadcast live on BBC Radio 3 and has just been released on the Chandos label. Forthcoming performances include solo concerto appearances with Hallé Orchestra, Royal Philharmonic Orchestra, BBC Philharmonic Orchestra and the premier of a new organ concerto by Karl Jenkins for the 2017 Hull City of Culture. an intensely musical experience where prodigious technique, perfect ensemble and consummate musicianship are to the fore. I cannot commend this CD too highly."